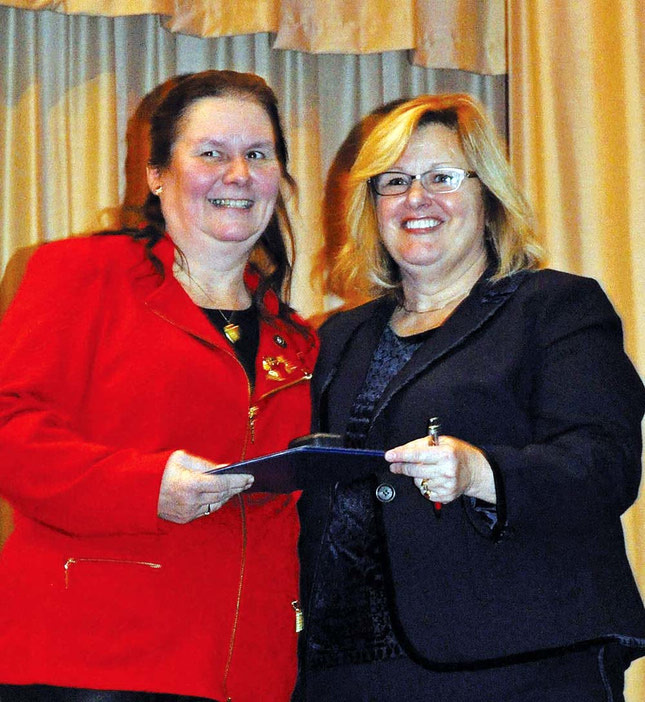 Earlier this month, Huron-Bruce MPP Lisa Thompson recognized the efforts and dedication of volunteers in her riding at her annual New Year’s levée. 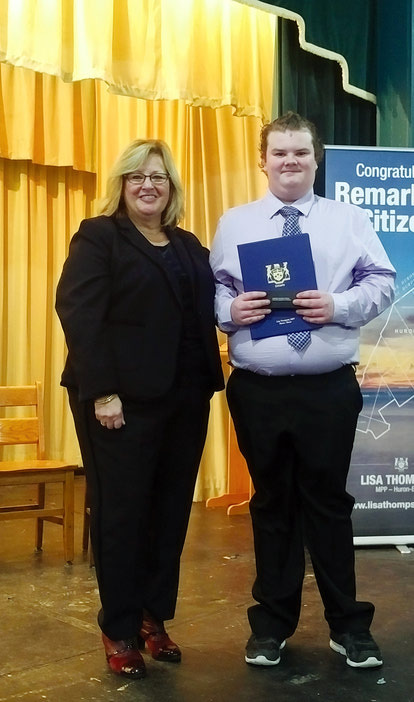 Held on Jan. 16 in Teeswater, Thompson presented Remarkable Citizens Awards to 23 residents from across the two counties she represents. 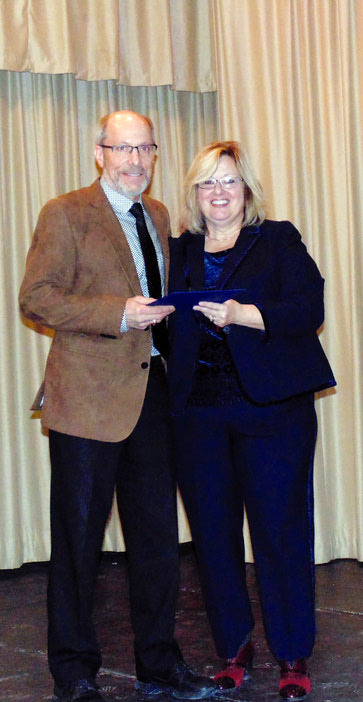 Locally, Brian McGavin of Walton, Joyce Johnston of Bluevale, Doug Kuyvenhoven of Wingham, Joan Vincent of Wingham, John Leppington of Clinton, Lorri Anne Moore of Seaforth, Bob Beuttenmiller of Seaforth and Tom Melady, also of Seaforth, were honoured. Christopher Pennington, formerly of Brussels and now of Kincardine, was also a recipient. 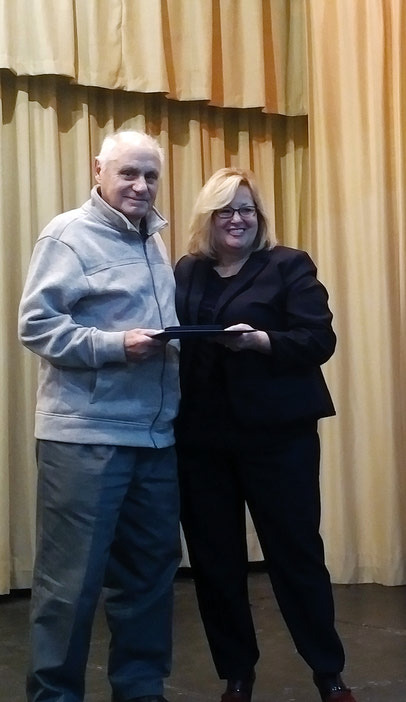 During an interview with The Citizen on Monday, McGavin said that while his award recognized his volunteer efforts, and while he was thankful for the honour, it really could go to any number of people in the community. “It’s not just for me,” he said, adding that for the International Plowing Match held in Walton in 2017, the award could easily go to any of the executive or 2,300 volunteers that put on that event. McGavin said the same of his involvement with the 4-H organization. He said there are many great leaders, members and volunteers in the organization that could also be honoured. The event was a good experience according to McGavin, who said getting to see all the volunteers from across the two counties was enlightening. Vincent said it was a great honour to be recognized, though she doesn’t volunteer for those reasons. Being involved in organizations like the Elementary School Fair in Belgrave, the Huron County Federation of Agriculture, local 4-H clubs, the East Wawanosh 150th anniversary celebration and the annual Huron County Queen of the Furrow competition, Vincent says she does it because the work needs to be done. She said she was also recognized for her baking, which she did for North Huron staff and council while her husband Neil was a representative. She said the evening was very nice, however, as it was postponed due to weather, not everyone she wanted to celebrate with could be there. In the end, she had some family there, as well as friends, and she said it was a nice evening with good entertainment. This year’s awards also included Bob Rowe of Hensall, who many locals may know through his work organizing Freedom Syrup in Walton. Freedom Syrup is produced in a sugar shack located in a bush on Jeff McGavin’s property, and is available by donation at several local locations. The proceeds from the syrup, which is produced by volunteers, goes towards helping the families of fallen soldiers. The awards also included a posthumous honour presented to Steve Millen of Teeswater, who passed away in November of last year. 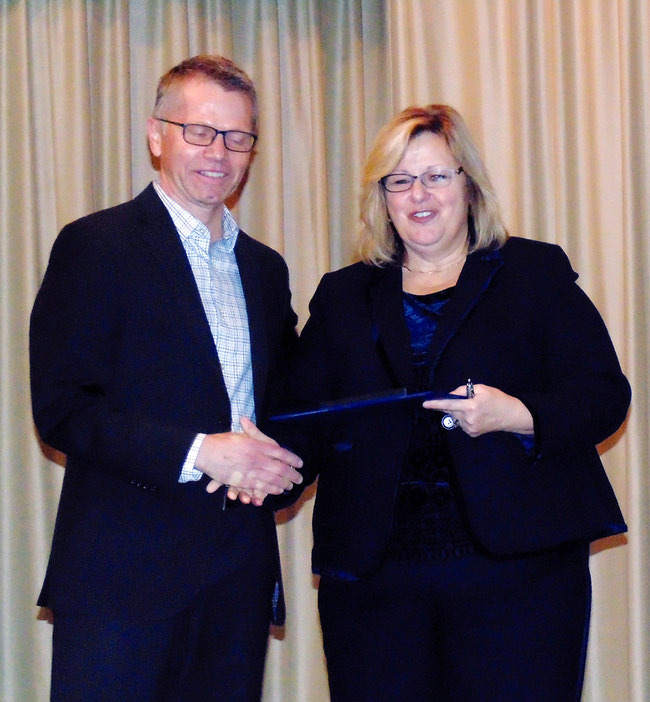 Other recipients included Brent McKague of Teeswater, Darian Murray of Lucknow, Dave McDonald of Teeswater, Keith and Gail VanderHoek of Ripley, Jane Hoy of Dungannon, Judith Bond of Kincardine, Margaret Sutherland of Park Hill, Patti Hutton of Tiverton, Phyllis Ireland of Teeswater, Shannon McGlynn of Teeswater and Shannon Wood of Mildmay.